Wow, what a fabulous day I had at the Cake International - The Sugarcraft, Cake Decorating and Baking Show 2012, held at Birmingham this week. Here's what ended up buying during the day. 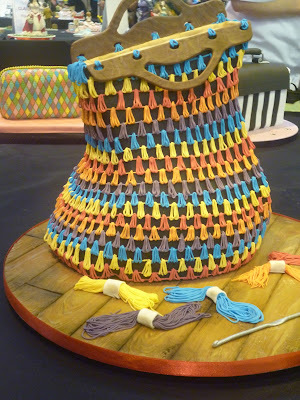 There were a few items I had planned to buy at the show but once I had seen them I realised they were not what I was expecting, something you can not always tell before purchasing online. Next year I hope to do less shopping and participate in more of the demonstrations at the show. 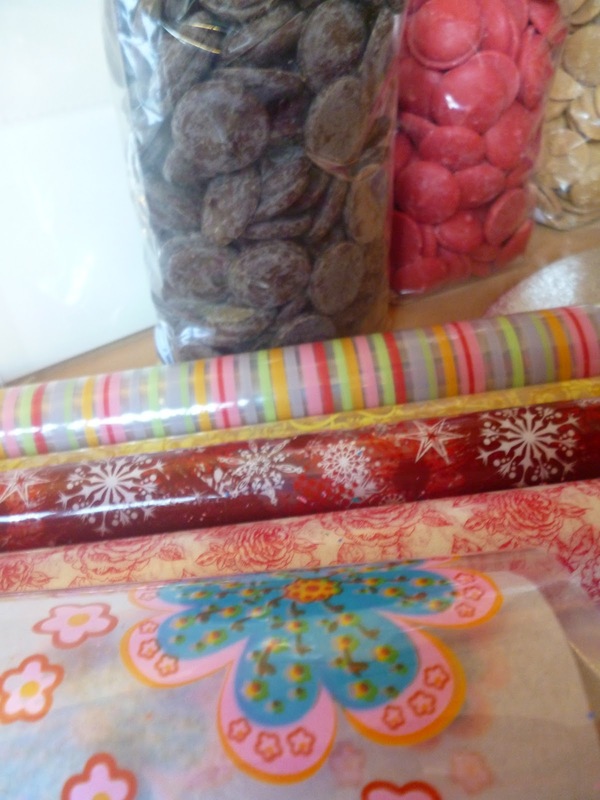 I'm looking forward to trying out the chocolate transfer sheets I picked up from The Cake Decorating Company stand. They had an amazing selection and it was difficult to choose just five. Can you see those big bags of chocolate drops, well one of those is peanut butter flavoured and I've got something special planned for Christmas. As always there were an amazing collection of very skilled cake decorators exhibiting at the show, here are just a few that caught my eye. These little cupcakes were part of a display at one of the stands. 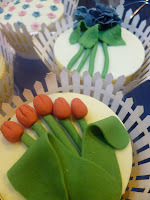 I was particularly taken with the Tulips, which are simple but very effective. Next time I go to the show I will try to remember to check that I don't have my camera setting on 'food' for all the photographs! 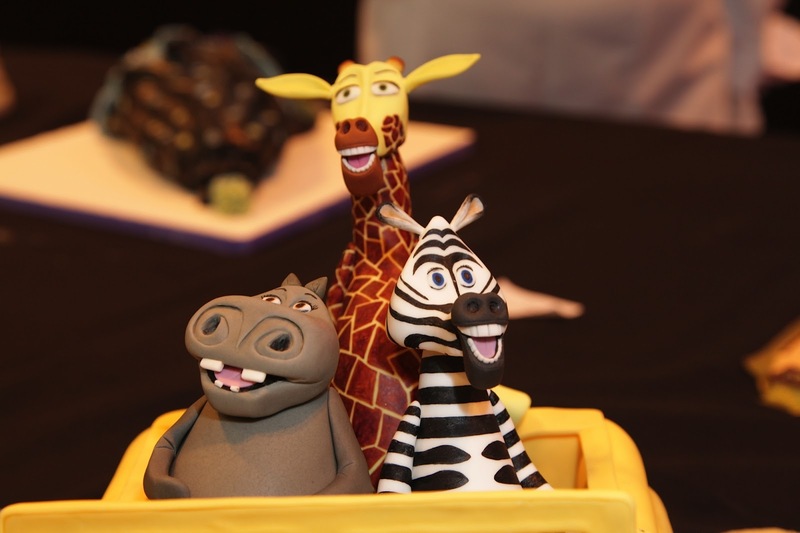 I would like to thank Lizzie at Cake International for providing me free entry to the show and the use of the Madagascar and Harry Potter photographs. 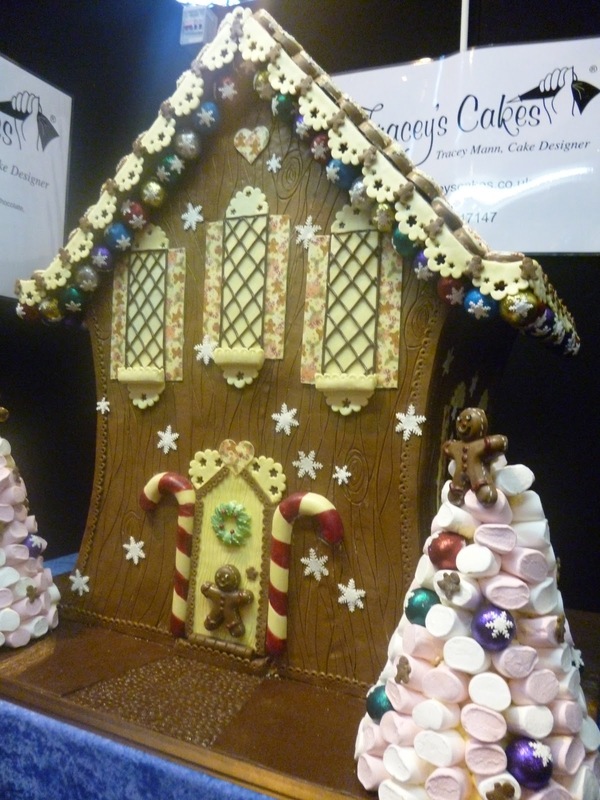 What a great day out and so any brilliant things to try out at home! 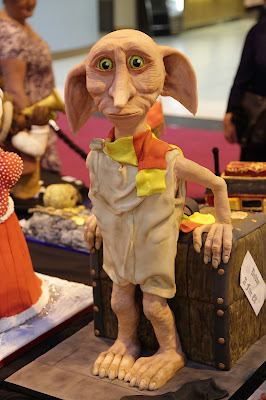 I actually squealed out loud when I saw the Dobby cake. You got some fabulous items there and I am now intrigued also about the chocolate transfer sheets and the peanut butter chocolate drops. Looking forward to reading how you've used these. Wow, looks amazing. I knew you would have a great day there. I was there yesterday too, and I also bought some chocolate transfer sheets! I saw them on one stand, I forget which, but the woman I asked really didn't explain very well how to use them so I was quite confused and didn't buy any, then I saw them on another stand and the guy gave a much better explanation so I bought some! I don't want to add up how much I spent...! It was busier than I expected too, I couldn't get near any of the stands or see any of the demonstrations to start with, but at about 4pm a lot of people had left which made it a lot easier to shop, and I also got to watch a demo of making sugar flowers, I'll do my own blog post on it soon! Glad you had a good time. Those cakes look amazing. Maybe next year, I'll venture up to it. I've got a chocolate transfer sheet, but still haven't quite worked out how I'm going to use it.